Most smartbands need to pair to a smartphone to get online, but not this one. Not only can it connect all on its lonesome, it's capable of LTE – i.e. 4G – speeds. 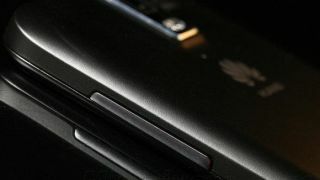 Even more spectacularly, it will also run on Huawei's recently-unveiled 4.5G network. Called, fittingly enough, the Huawei 4.5G Smartband, it's described as being "in the middle of 4G and 5G", The Inquirer reports. Huawei plans to roll out its 4.5G network sometime next year. The smartband will use an LTE-M chip made by Neul, a start-up that Huawei bought last year. The company claims this processor will help make a "cellular internet of things" a reality. Details on exactly what the smartband will do are non-existent right now, but if it is anything like the Huawei Talkband B1, we can expect hands-free communication as well as a raft of fitness features and phone notifications. 5G is expected to up mobile speeds to around 10Gbps – that's fast enough to download an HD film in a couple of seconds. Not only will this be great for movie lovers, the ultra-low latency will allow devices like driverless cars and fridges to talk to each other with next to no delay. It's also expected to be as reliable as a cabled broadband connection. Handy if your driverless car is using it to navigate. 4.5G won't be quite as fast – Huawei predicts speeds of around 1Gbps – but will act as a stopgap on the way to this smart-citied utopia. Ryan Ding, Huawei's president of products and solutions, said the 4.5G network would represent "the first time that a mobile network is not focussed on people" but on "people and things". Huawei said a 4.5G network would also be a boon for businesses, boosting industry applications like smart metering, which need low-power terminals and better network coverage. And with smartbands connected to the network, we will be well and truly plugged into the smart city.